How do you react to a traffic jam? When you’re in no particular hurry to get to your destination, you’re still bound to be stressed and annoyed. Your patience is tested as you sit there, feeling stuck and tired. Being on the road is exhausting, even when you’re just a passenger. However, when you’re in a rush to get somewhere, the level of stress could really soar and you could find yourself battling rage and anxiety. Traffic congestion should not be dismissed as just another strain of modern living. According to statistics, rush hour commuters in the U.S. lose an average of 42 hours each year to road delays on account of traffic jams. That amounts to 3 ½ days per year of you stuck in your car. That’s time you’ll never get back. Even worse, that’s a really long time for you to be stewing in stress. It’s not an exaggeration to state that stress can kill. If you routinely spend hours stuck in traffic, the stress could really take a toll on your health and humor, so you can’t just sit back and do nothing. 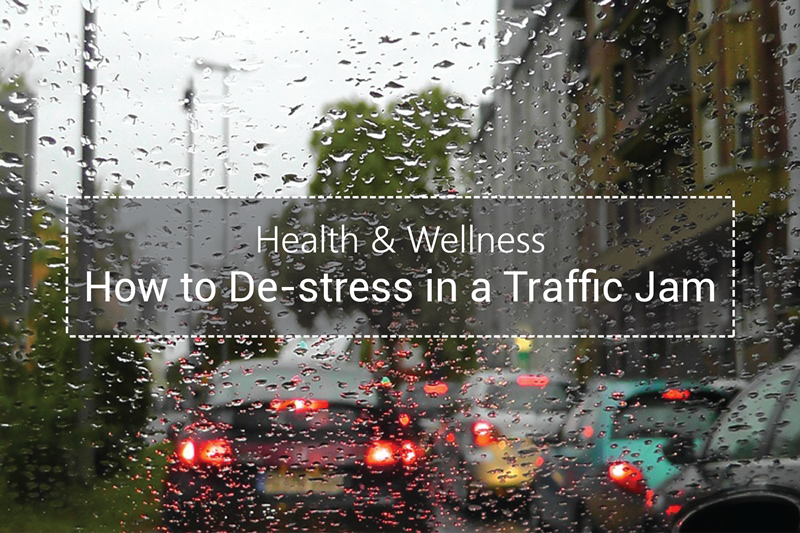 For your own health and wellness, you need to find a way to beat the effects of traffic. Something that psychologists recommend and that has been proven effective by many who practice it is guided imagery. This is a gentle but powerful kind of meditation technique that focuses and directs the imagination in a positive and proactive manner. Guided imagery is often mistaken for visualization and mental imagery, but take note that it is different. It goes beyond the visual sense, which is an advantage since only a little more than half of the population is strongly wired visually. Guided imagery involves all of the senses, so it caters to almost everyone. It mainly uses the imagination, but neither is it a strictly mental activity. You can use your entire body – your emotions and all your senses – to make a powerful impact on your situation. Research findings show that 10 minutes of guided imagery can lower blood pressure, reduce cholesterol and glucose levels, and boost short-term immune cell activity. It has also been known to ease physical pain as well as increase skill during performance and competition. The list of positive effects go on, but in relation to you dealing with the effects of traffic, you can come up with your own imagery or use something that has been created for you to de-stress and overcome all the negative feelings that the situation engenders. While waiting in traffic, you can use music, touch, posture cues, etc. so that your body will respond the way it does during the imagery. For more than 40 years, guided imagery has been used to improve health and wellness as well as creativity and performance. Traffic may take hours from your usual productivity, but it doesn’t need to rob you of rest and joy. You probably can’t do anything about those clogged highways, but you can definitely do something about your reaction to them.